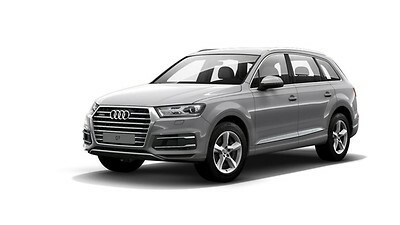 The Audi Q7 is available in different versions, known as trim levels. These allow you to choose a version that reflects your preferred styling, driving experience and equipment level. Standard equipment and the choice of options both vary by trim. Our largest SUV has undergone some big changes. Sharper horizontal lines. A redesigned 3D-hexagonal single-frame grille. Double arrow-shaped daytime-running lights. And stunning LED headlights. Every element adds to the Audi Q7’s powerful, athletic appearance.